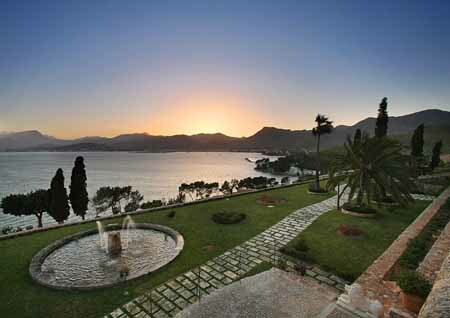 Sa Fortaleza is a 22-acre estate in the bay of Pollenca on Mallorcas northerly coastline. The English owner has just placed the house and grounds on the market with a guide price of 125 million (£99m). The estate dates back to 1622 when a fortress was built to serve as base for the defence of the bay. Throughout most of the 20th century, it was owned by the Argentine painter, Roberto Ramauge except during the Spanish civil war when it was confiscated by the Spanish government to be used as a military zone. In 1989, the house and grounds was sold by relatives of Sr Ramauge to the present owner. He set about reforming the castle and houses, building two swimming pools and installing a helipad. Today, the property has 17 bedrooms with ensuite bathrooms. Access is entirely private down its own drive.